As you may know, ICANN holds three public meetings every year. The most recent one, ICANN 54, was held in Dublin i.e. just up the road form our office! Remember the numbers from that one? 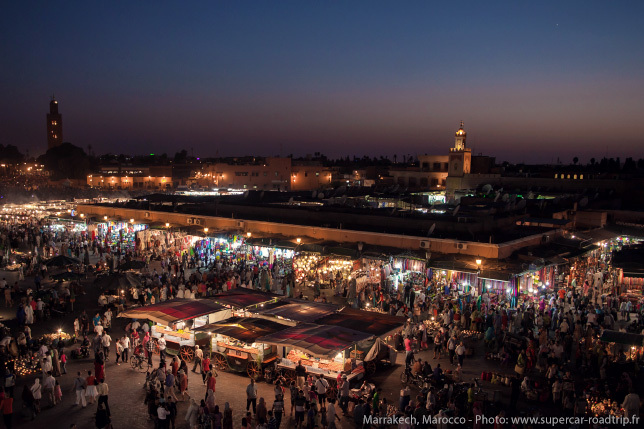 So the next ICANN meeting is being held in Marrakech, Morocco starting Saturday, March 5th through March the 10th. Up until now all three meetings were the same length and had the same basic structure. However, from this year onwards, that'll change. How that will play out in reality, however, is anyone's best guess. ICANN meetings are always very busy with a lot of different sessions being held at the same time. You can follow most of the meeting via audio and / or video streams, though a lot of the value from these kind of meetings and events is gained from the hallway chats etc. So what are the "big" issues this time round? ICANN's current CEO Fadi Chehadé announced a few months ago that he was leaving the organisation. After several months ICANN announced that the new CEO would be Göran Marby. Marby has an impressive resume, but I suspect most of us will reserve judgement until he's been on the job for a few months. Mr Marby will be in attendance at the ICANN 55 meeting, so I suspect quite a few people will want to "bend his ear". Since I first became involved in ICANN, I've dealt with 3 CEOs, so now I'll be on my 4th, not including the interim CEO. The IANA transition has been THE topic for the last two years. Short version: the US government currently has a "special" relationship with ICANN and the IANA functions. One of the things that ICANN was setup to deal with all those years ago was to transition that all away from a single government and pass it to the broader internet community. (And yes, I am simplifying this a LOT). The IANA database and the functions associated with it are really really boring, but they're also crucial to the correct functioning of the domain name system (DNS). No one government should control it and it should be possible to move the "control" (or "stewardship") away from the US government's department of commerce (NTIA) entirely. However, in order to get there, ICANN and the broader community had to sort out a LOT of stuff. And that's been taking up a lot of ICANN's time over the last two years. We are now pretty close to the finish line — so close that you can see it. But whether or not we'll make it over the line in one piece is another matter entirely. Originally the entire thing was meant to have been "done" by September of last year. Now, several months later, it's very close to being finalised and will hopefully be acceptable to everyone. Will everyone be happy with the final plan? Of course not, but they rarely are. The multi-stakeholder model always has a degree of compromise. The challenge is whether or not the compromises are ones that people can live with. One of the things that ICANN has been coming under fire for more and more over the last few years is its own expansion as an organisation. This is a rather interesting, albeit complex, issue. Up until a couple of years ago ICANN was very much a US focussed organisation. Everything about it was US-centric. Over the last couple of years it has done a lot to change that, hiring staff and opening offices around the globe. However all of those things come at a price. And with the expansion of the top level domains, the organisation had a massive influx of both people and money. At $185k a pop more than 1900 new TLD applications added a LOT of cash to the ICANN coffers — and that's without even considering the millions of dollars the organisation has collected from auctions. The most recent set of eye popping budget figures were released earlier this week and they are going to be a topic of some discussion in Marrakech. ICANN has so far spent over $18 million on the IANA transition! Whois is always a favourite topic at any ICANN meeting. This one is no different. As usual there are multiple whois related activities going on. Possibly the biggest one is the discussion around a potential replacement for the current whois system. This builds on the work I (and others) was involved in several years ago. Yes, things do tend to move quite slowly in ICANN circles. It's not a sprint, it's not even a marathon… maybe it's a long trek? ICANN's policy around domain transfers is being updated again and this time around it will also impact "change of registrant". So if you update your contact details, change your name etc., then it could impact you. Oh and did I mention that the IANA transition is on the cards? Well it is and I suspect it'll be one of the topics that will come up at every turn. There's also a "high level" meeting between a bunch of governments being held in Marrakech this time. At least now Ireland will have a seat at the table! So here's to the ICANN Marrakech meeting to hoping that we can make positive progress on some of these topics! March 2019: Which New gTLDs Are Becoming Mainstream? Are Inter-Satellite Laser Links a Bug or a Feature of ISP Constellations? Local Time: Thursday, April 18, 2019 11:32 PM PDT – Page Load: 0.4316 Sec.